» Stacking and Bagging » FOCKE & CO. 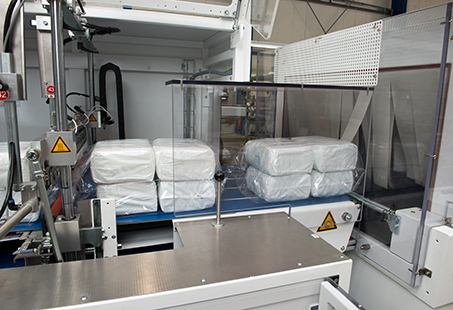 The “New Gen.” series of stacking and bagging equipment stands for high-speed and latest technologies on small footprint. 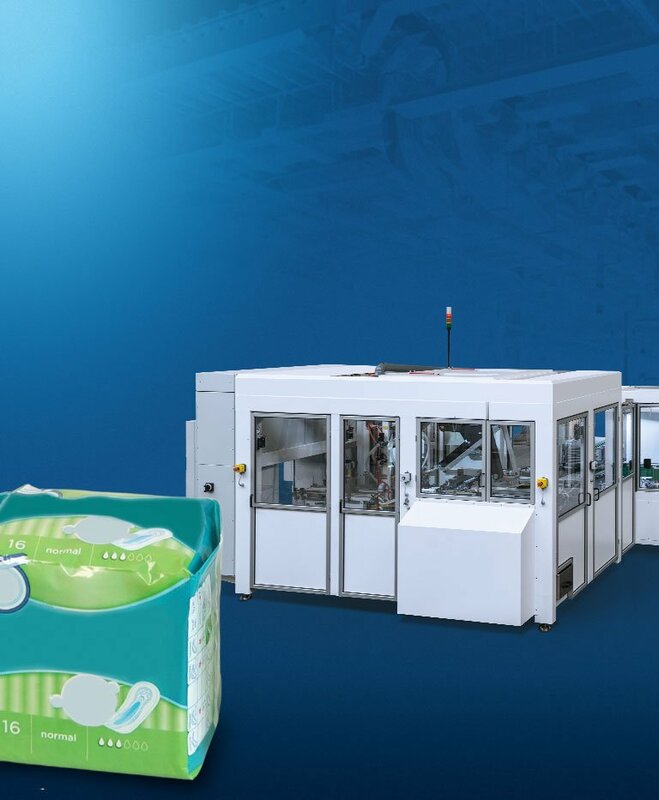 Reduced to the max and developed with a special focus on TCO aspects, the machine design offers various packaging solutions for feminine care products. Latest control systems, utmost efficiency and a modular design supports easy operations and maintenance of this equipment. 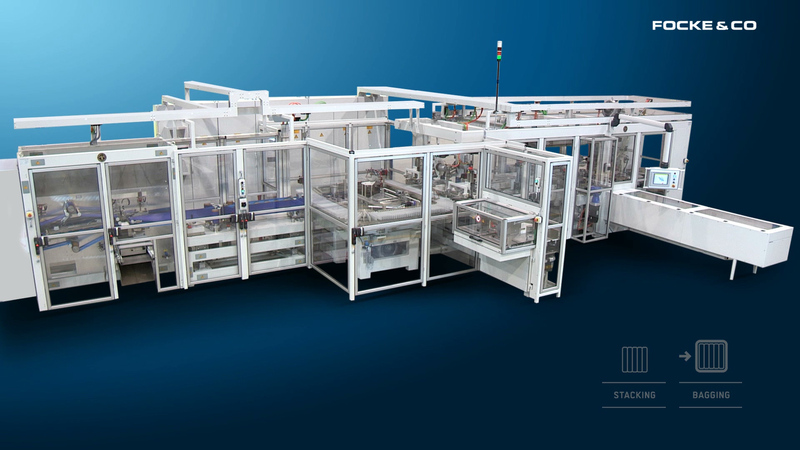 This stacking and bagging equipment stands for solidity, durability and proven technology. 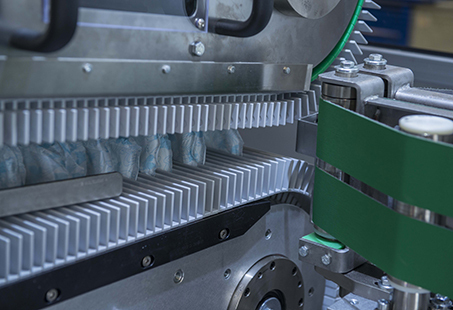 Reduced to the max and developed with a special focus on TCO aspects, the modular machinery design offers economic solutions for various applications for the diaper industry. 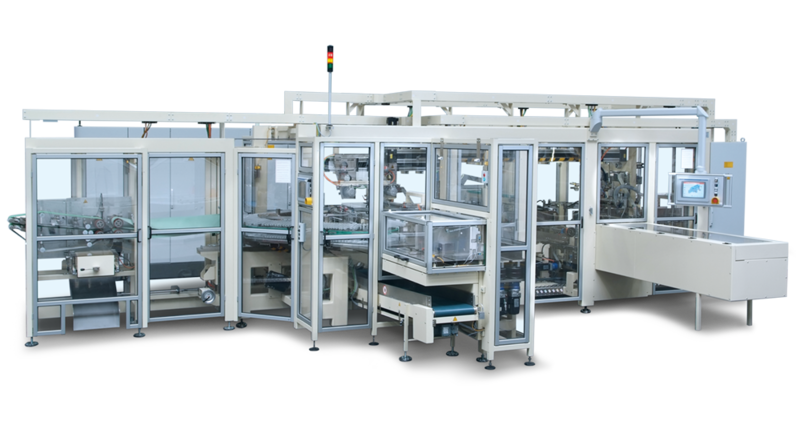 Increased efficiency and an open design enables easy operations and maintenance of this equipment. 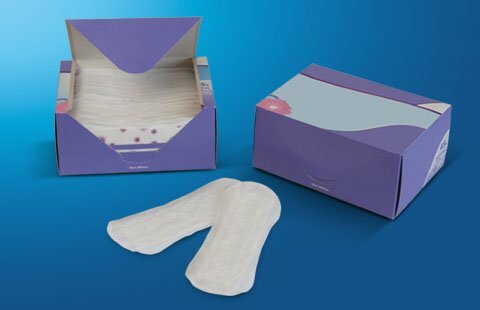 The modular design fits various feminine care applications. Newest technology on small footprint. 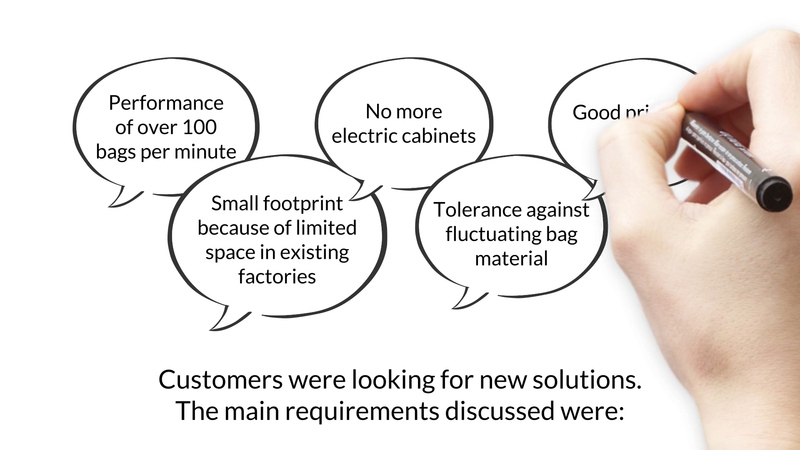 Integrated components: no need for external electric cabinets. 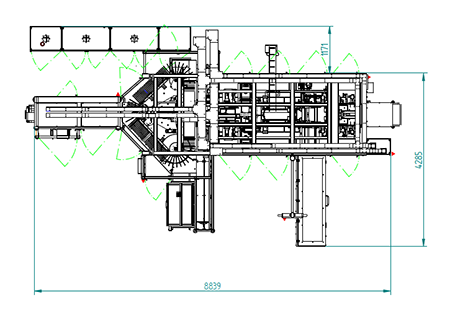 Various layout options with one or more baggers and/or cartoner available. 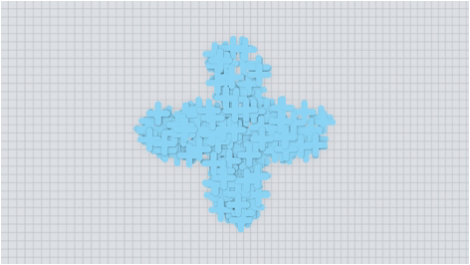 Turning modules (cross/in line) for individual pack configurations. Reject station for product quality control. Manual feeding of additional products. Camera based sealing quality check. Special noise reduction to under 80 db (A). 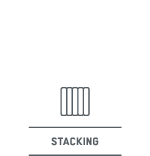 Customized design available: Flexible use of stacker chain allows single or multiple product pockets (depends on product thickness). 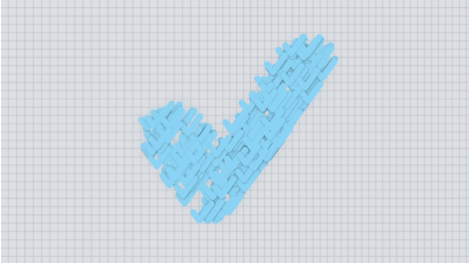 To be combined with various product infeeds to achieve tailor-made layout options. High sealing quality of the bag, optional camera based sealing check available. 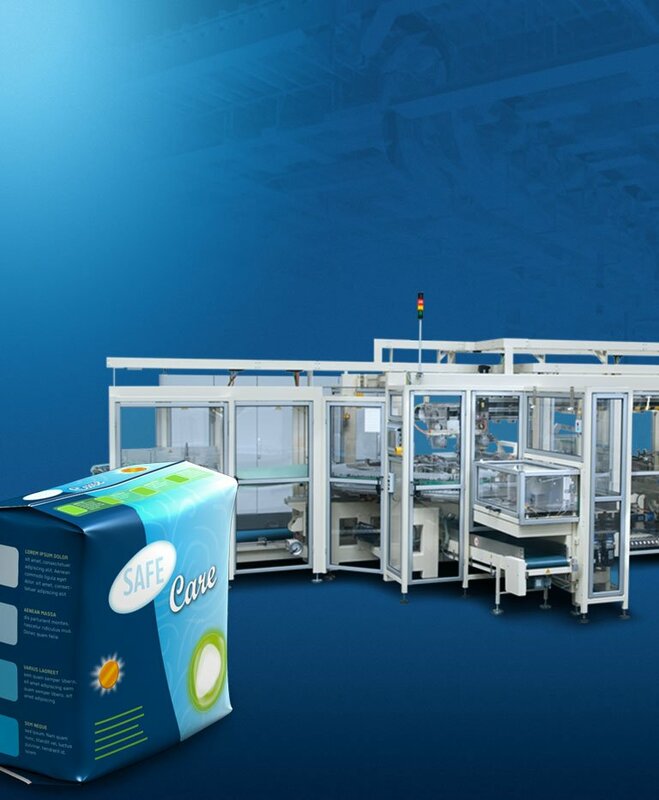 Packaging of feminine hygiene products in cartons. 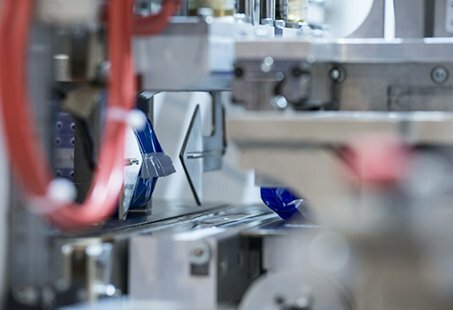 Combination with stacking and bagging machine possible to create two different packaging styles with one product infeed. Economic solution for various applications. Standard equipment – customized to your needs. 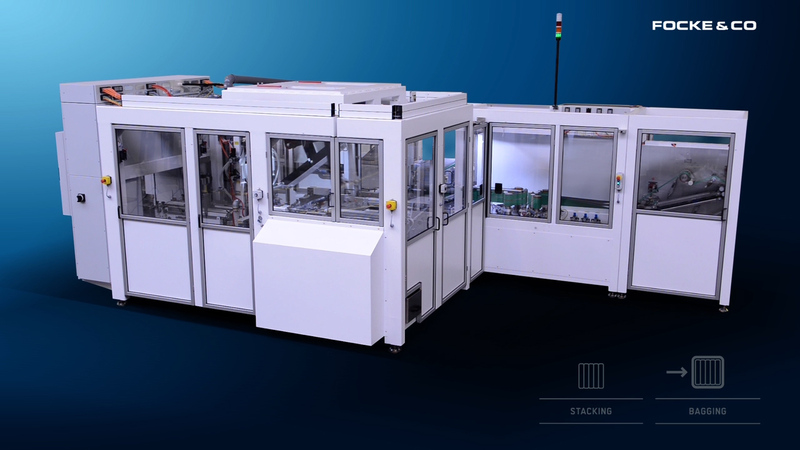 Turning module for individual pack configurations. Reject station for quality control. 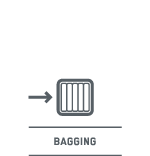 Standard equipment – customized layouts and options. Various pack styles within the bag possible (single row, double row). 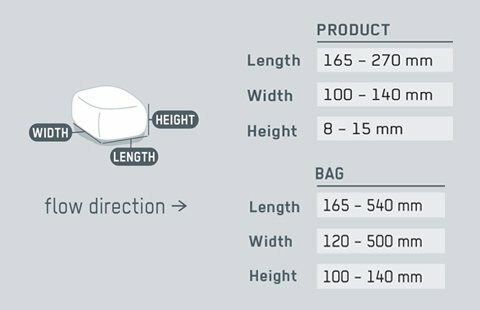 Wide product and bag size range. 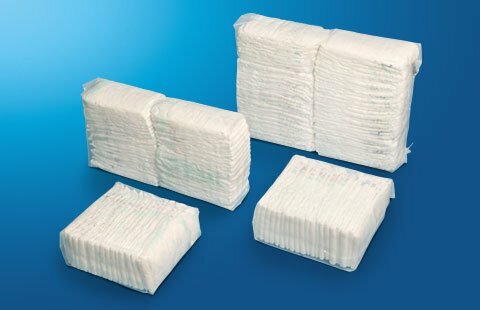 Machine equipment available for baby or adult diapers.